This game was one of the most expected premieres of this autumn. A lot of gamers all over the world were counting the last days, hours and even minutes before the release date, and finally Black Mesa Source is available on Steam. So, is it worth our waiting? Of course! 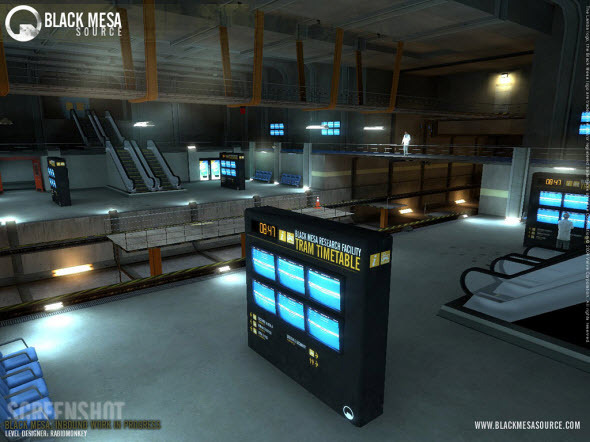 Black Mesa Source was firstly announced 8 years ago, and was in development for almost 5 years. It is interesting, that the development group was not an official one, the team consisted of fans and volunteers. Maybe that's why the development took so much time, but the result exceeds expectation. Black Mesa Source is not the usual game, it is the remake of Half-Life - one of the most influential and popular games of all times. 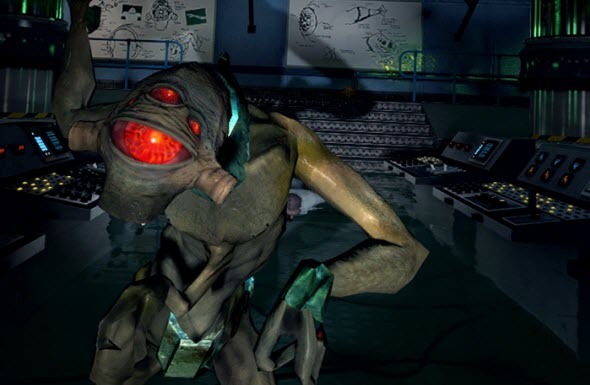 In 1998 Half-Life changed the gamers' minds, because it was the first game with full-fledged and interesting story, rich dialogues and environmental puzzles. Unlike the many games of 90-th years, it was really interesting to pass this game and solve numerous puzzles. But the graphics of Half-Life now looks out-of-date and clumsy. 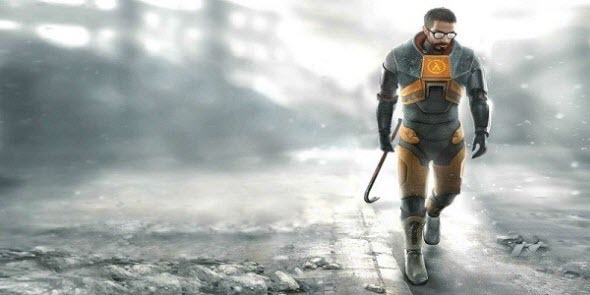 To destroy this disappointing misunderstanding, the developers decided to redesign cult Half-Life, using Source gaming engine - the one that was created for Half-Life 2. There is no point in describing the scenario of Black Mesa Source, because it is similar to Half-Life's one. For those, who have never played Half-Life (do these people really exist?) we'd like to say some words about Gordon Freeman - the theoretical physicist from Black Mesa Research Facility. The game is telling us about the scientific experiment that suddenly opens portal to the parallel universe where there a lot of aliens an monsters. Gordon is trying to fight against these aggressive creatures and call for help. But nobody will come to save the scientists, because the government ordered soldiers to destroy every person from Black Mesa. Now Gordon is alone against the monsters from another universe and dangerous army from his one, but with your help Gordon can stop this chaos. Black Mesa accurately repeats the plot of Half-Life, and it is an advantage and disadvantage of this game in the same time. Everything was copied from the old Half-Life: each character, corridor, item and every monster. The remake is really ideal, but the challenge is absent at all. If you have already played Half-Life n times, then you will remember every puzzle, and you don't need to think during the gaming process. That's why even with fantastic new Source engine you won't get the pleasure you have in 1998. Well, the developers announced that they will change only design and mechanics, and they kept their word. And we must say that they succeed in recreating the locations and characters of the game, so now Black Mesa looks like we imagined it should look like in the distant 1998. The developers really changed almost each item in the game, totally redesigned everything. The textures became smooth and modern, the locations are stylish and look like real, the characters have different faces and even monsters became scarier and uglier. It is really wondering how the developers could create so beautiful design, using rather old Source gaming engine. But the fact remains: you will admire aesthetically playing this game. Not only the graphics, but the mechanics also has changed for better. The artificial intelligence of your enemies became more real, and the interaction with other characters and items was improved. For example, now you can pick up the dead head crab and throw it to the wall. Enjoy! Also the sound of Black Mesa Source deserves the highest marks. Music was created especially for the game, and it fits perfectly. Together with the music the developers changed other sounds, for example the clicks of guns, so you will get almost the palpable sense of weapon. 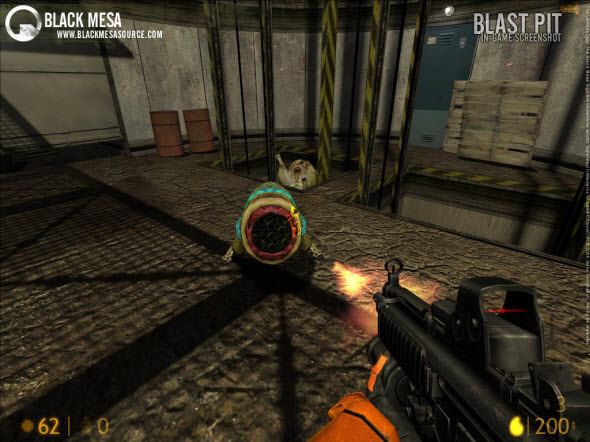 Black Mesa Source was created not for the whole gaming world, but for the fans of Half-Life series. Some of them will find it brilliant, because it really brings Half-Life to the qualitatively new level. The other ones will close it after the first chapter, because it is not interesting to play the game that you have perfectly learnt for the last 14 years. But nevertheless Black Mesa is a good reason to feel nostalgic for Half-Life - the game that even today remains a standard for game developers. 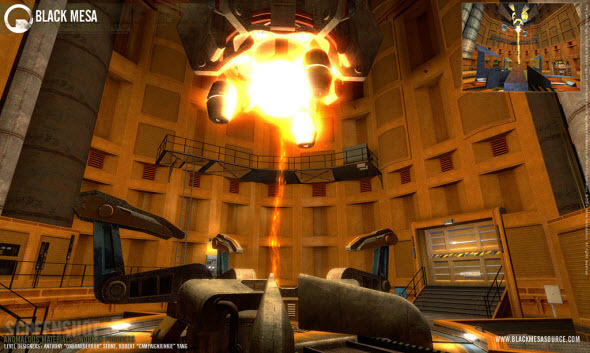 By the way, you can feel nostalgic totally free - Black Mesa Source costs nothing on Steam.